Most people don’t like the idea of living alongside spiders, but the only place in the world where you won’t find any eight-legged neighbors is Antarctica. Before you pack your bags and start looking for an igloo, consider the fact that most spiders are harmless (though there are some dangerous types of spiders you should be aware of). They actually do you a big favor by eating other bugs and insects that may cause more serious problems. There are only a few types of spiders that are commonly found inside a home, and finding them isn’t always easy. Spiders and spider habitats can be hard to spot. They are generally unobtrusive and blend into their surroundings. Find out more about where spiders live in and around the home and what, if anything, you should do about it. How do Spiders get into Your Home? Spiders can enter your home a few different ways. Common house spiders usually spend their entire life indoors. They live in hidden spaces and undisturbed areas, like behind a bookshelf or underneath the basement stairs. Some spiders may stowaway inside an old box you’ve brought in from the garage or in a bundle of firewood brought in from outside. Others may mistakenly wander inside if a door or window is left open. 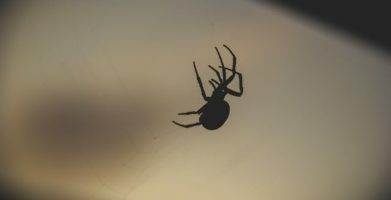 Spiders can also enter through small openings like those found around dryer vents or the areas where cable and plumbing lines pass through the walls of your home. Another way spiders move around, and may possibly enter the home is by “ballooning.” This method is achieved by spinning a piece of silk but not attaching it to anything. The wind then catches it like a balloon and carries the spider away. There are no winged spiders, and they cannot fly, but this method of movement allows them to travel great distances through the air. Occasionally, exotic or dangerous spiders may accidentally be transported along with a shipment of fruit. Although these instances are rare, it is important to carefully wash and inspect any produce you bring into your home. So, where do spiders like to live? Learning about the ideal habitat of a spider can help you make sure your house is not the kind of place they want to live. Because there are thousands of different kinds of spiders, spider habitat varies depending on species. Some spiders are indoor spiders and others thrive outside. Regardless of where a spider lives or what kind it is, its basic needs are the same: food, water, and shelter. House spiders like living in quiet, undisturbed areas where moisture and food are available. Of course, food for spiders means other bugs. Spiders do not need much water, but moisture often attracts other bugs, so spiders will usually choose to live nearby as well. Cluttered areas provide more hiding spots for spiders. That’s why basements, garages, storage spaces and wooded areas tend to be popular among the eight-legged crowd. Spiders can build webs quickly and easily. Spinning a new web takes less than one day. Although behavior varies depending on the type of spider, common house spiders will usually abandon a web that isn’t catching enough food. The abandoned web that is left behind is what you may call a cobweb. A house spider will stealthily crawl to another area, perhaps near a door or window, and spin another web in hopes of catching more prey. Although spiders generally like quiet areas with little traffic, they will opt for a busier location if that is where their prey is found. If a house spider can avoid people, it will usually live for 1-2 years; some species of spiders can live much longer. What Should You Do if a Spider Makes Your Home it’s Own? Even if the thought of a creepy, crawling spider makes you want to turn and run the other way, try to consider the facts. Spiders do not cause any property damage. 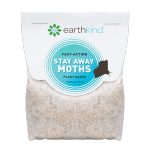 They actually eat other pests that may cause damage like termites, carpenter ants, moths, and stink bugs. Very few spiders are able to deliver a bite that is harmful to people, and spiders almost always prefer to avoid humans over attacking them, biting only as a last defense. 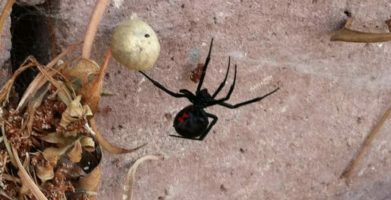 Although spider related deaths are rare, you should seek medical attention if you have reason to believe you’ve been bitten by a black widow or brown recluse spider. Sealing potential entry points like cracks and gaps along the building’s foundation. Keeping doors, windows, and screens sealed well. Preventing other insects from inhabiting the area. Reducing clutter to limit hiding places for spiders. Using a natural spider repellent. I have several large grey spides in my shower and today one in my kitchen zinc. Would they come up the drain? My husband had a small round wound on his leg that had a black dot in the center. It was red the first day but then appeared to dry and be hard. Would it be a spider bite? Spiders are often found in showers and sinks because the moisture attracts other insect prey for the spiders to eat. 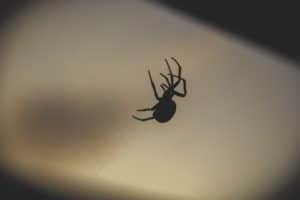 While we can’t diagnose the red spot on your husband’s leg, we’d encourage you to review this advice from the Mayo Clinic about spider bites and consult a doctor if any other symptoms appear. I wake up with spider bites in my apartment almost daily. I know it’s spiders, because twice now I have woken up and threw them off me. I have no other bugs, no ants, no clutter, and the windows are sealed off for winter with plastic. There’s no holes in the walls, and I haven’t seen any except for when I wake up and throw them off me. I have no clue where they are coming from and our apartment gets sprayed monthly for bugs. That sounds very frustrating! If your apartment is getting monthly pest control treatments, I would suggest talking about the problem with them, and/or the property manager. It sounds like you’ve taken all the right steps on your end by reducing clutter, blocking entry points, etc… so there may be some underlying issue that needs attention. Of course, you can keep a pouch of Stay Away Spiders in your room as well, but keep in mind that an integrated pest management plan may be necessary to control a severe infestation. I’m getting loads of huge spiders in my house they are massive, I can deal with the little ones but these are just ridiculously big, found 2 today within space of few hours they just freak me out with how big they are. What kind of spider could they be and are they dangerous/venomous? Also, how do I make sure they don’t get in the house? Thank you for reaching out to us! Identifying spiders is important to help you know if they are venomous or not. Spiders can be extremely hard to control, but our tips – combined with our products – can help you prevent those creatures from entering your spaces. Start by geting rid of their food source and shelters. Spiders often make their homes in plants, piles of leaves or wood, or dark undisturbed places. Try making some space between those things. Dust corners and along ceilings to remove cobwebs; spiders love these areas that are often overlooked. Seal small holes or cracks with caulk and make sure doors and windows close tightly without any gaps. To repel them and keep them away we recommend Stay Away Spiders. 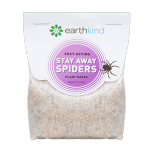 Stay Away Spiders uses the scent of botanical oils to repel spiders and the insects that they eat. The scent of Stay Away Spiders blocks scent cues spiders rely on to find food, identify potential mates and detect danger. The scent of Stay Away Spiders also deters many of the insects spiders feed upon. Pest activity should decrease in treated areas within 24 hours after placing repellent pouches, eventually causing spiders to stay away from the area altogether. We hope this helps! Thank you for reading! Most people don't like the idea of living alongside spiders, but the only place in the world where you won't find any eight-legged neighbors is Antarctica. Before you pack your bags and start looking for an igloo, consider the fact that most spiders are harmless (though there are some dangerous types of spiders you should be aware of). They actually do you a big favor by eating other bugs and insects that may cause more serious problems. There are only a few types of spiders that are commonly found inside a home, and finding them isn't always easy. Spiders and spider habitats can be hard to spot. They are generally unobtrusive and blend into their surroundings. 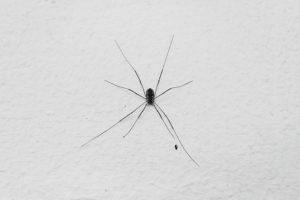 Find out more about where spiders live in and around the home and what, if anything, you should do about it. Spiders can enter your home a few different ways. Common house spiders usually spend their entire life indoors. They live in hidden spaces and undisturbed areas, like behind a bookshelf or underneath the basement stairs. Some spiders may stowaway inside an old box you've brought in from the garage or in a bundle of firewood brought in from outside. Others may mistakenly wander inside if a door or window is left open. Spiders can also enter through small openings like those found around dryer vents or the areas where cable and plumbing lines pass through the walls of your home. Another way spiders move around, and may possibly enter the home is by "ballooning." This method is achieved by spinning a piece of silk but not attaching it to anything. The wind then catches it like a balloon and carries the spider away. There are no winged spiders, and they cannot fly, but this method of movement allows them to travel great distances through the air. House spiders like living in quiet, undisturbed areas where moisture and food are available. Of course, food for spiders means other bugs. Spiders do not need much water, but moisture often attracts other bugs, so spiders will usually choose to live nearby as well. Cluttered areas provide more hiding spots for spiders. That's why basements, garages, storage spaces and wooded areas tend to be popular among the eight-legged crowd. Spiders can build webs quickly and easily. Spinning a new web takes less than one day. Although behavior varies depending on the type of spider, common house spiders will usually abandon a web that isn't catching enough food. The abandoned web that is left behind is what you may call a cobweb. A house spider will stealthily crawl to another area, perhaps near a door or window, and spin another web in hopes of catching more prey. What Should You Do if a Spider Makes Your Home it's Own? Even if the thought of a creepy, crawling spider makes you want to turn and run the other way, try to consider the facts. Spiders do not cause any property damage. 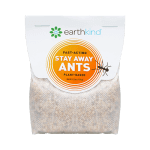 They actually eat other pests that may cause damage like termites, carpenter ants, moths, and stink bugs. Very few spiders are able to deliver a bite that is harmful to people, and spiders almost always prefer to avoid humans over attacking them, biting only as a last defense. 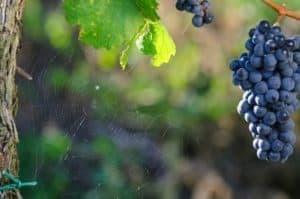 Although spider related deaths are rare, you should seek medical attention if you have reason to believe you've been bitten by a black widow or brown recluse spider. Sealing potential entry points like cracks and gaps along the building's foundation. Keeping doors, windows, and screens sealed well. string(54) "Where Do Spiders Live? Habitat of Common House Spiders"